Do you have dyslexia or other learning difficulties? Easy Dyslexia Aid is what you’re looking for. Easy Dyslexia Aid helps with spelling and literacy with the aid of the ‘OpenDyslexic’ font and colour overlays. Easy Dyslexia Aid is a wonderful application and a welcome addition to the assistive technology market for dyslexia. Probably the best function of Easy Dyslexia Aid, is its ability to do what it is meant to do straight away. The absence of unnecessary ‘options’ pages ensures that learners with specific difficulties can quickly start using the app. 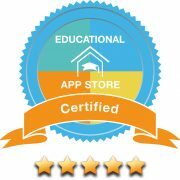 Exciting News: We have just received the results of the curriculum review and our app has made it into the Teacher App Library (TAL). An Educational App Store teacher also created an applan, as they call it, which is a plan for teachers and schools who download the app to have an idea of how it can be used. It is a feature that is very much liked by the teachers and schools as it helps them a lot. Touch the microphone on the screen. Then speak clearly and directly into the device microphone. Touch Done on the screen to end speaking and the app will process the word or phrase and commence spelling. This is wonderful application and addition to the assistive technology market as it can help dyslexic learners with specific cognitive difficulties making it easier to process particular kinds of information. The absence of unnecessary ‘options’ pages ensures that learners with specific difficulties can quickly start using the app. Dyslexia is primarily associated with trouble reading. But it can also affect writing, spelling and even speaking. Kids with dysgraphia may struggle with handwriting, organising their thoughts on paper or with both of these activities. Easy Dyslexia Aid can support with both these conditions and serves as an extremely useful companion both inside and outside the classroom. Upon opening the application you are presented with a clear blue user-friendly interface. The instruction ‘Touch mic & talk’ is displayed above a circular mic symbol. On touching the symbol, you are asked to ‘Talk.’ By pressing done the app will process what has been said and proceed to produce your input displayed in the OpenDyslexic font. This font has been created with letters using heavy weighted bottoms to indicate direction and to reinforce the line of text, which aids in recognising the correct letter, and sometimes helps to keep the brain from rotating them around. The OpenDyslexic font is displayed in a choice of 8 colour overlays, as a means to accommodate users suffering from dyslexia and improve readability. This feature can be changed in the Settings which are also easily navigated to from the main screen. Additionally, within the Settings, you can choose to turn off speech output if you wish, display upper and lower case letters and change between multiple languages. The voice synthesis technology used is of a high standard; audio output is clear and the voice recognition software is second to none. For many children with dyslexia or dysgraphia, asking for help with spelling can be a frustrating experience, especially in the classroom. This app can help to increase independence in the classroom and allow for uninterrupted thinking. Easy Dyslexia Aid is a simple and intuitive app and a must for all classrooms that have children with dyslexia or dysgraphia. Easy Dyslexia Aid is child friendly. There are NO ads or in-app purchases, and profanity is filtered out. There is NO ads, in-app purchases and profanity is filtered out. Support for split view feature in iPad and iPad Pro devices. Using split view allows you to open two apps simultaneously and display them side-by-side. This feature helps improve productivity. Do you or someone you know have any of these symptoms? Issues with: Spelling, Reading, Writing, Concentration, Memory, Understanding & Self-Confidence. If so, you are not alone. 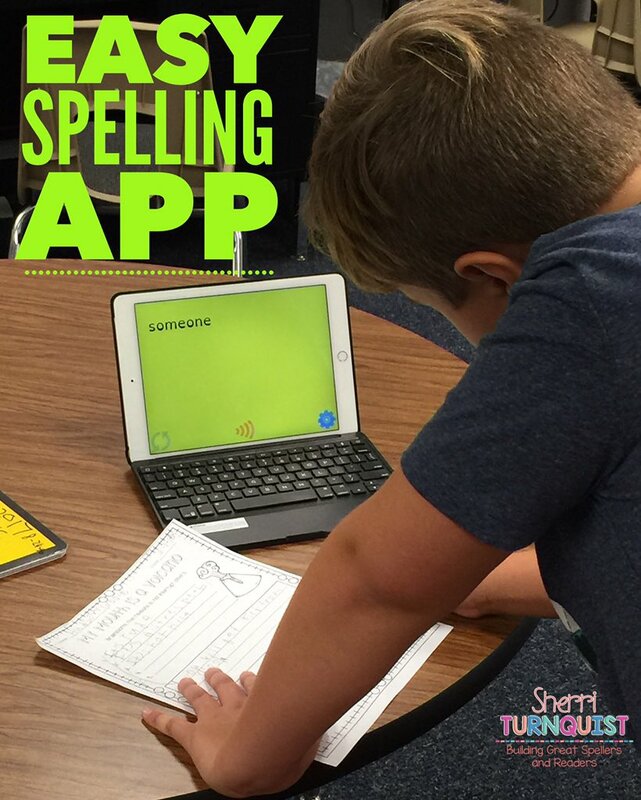 12 Apps For Dyslexia, Dysgraphia, Dyscalculia Shared with Parents That Teachers Will Love, Too! Comprehensive guide, with 11 great tools, to make life easier for both families and children. Touch Done on the screen to end speaking and the app will process the word or phrase and commence spelling. Or the app will automatically detect end of speech and process the word or phrase and commence spelling. Select the green return icon to start over, select the orange speech icon to repeat speak text or select the grey settings icon to change the settings. Select a language from the available languages in the drop-down list. Select a dyslexic option from the available options in the drop-down list. Find a nice quiet space with minimal background noise. For homophones, i.e. there, their or they’re, use context to determine the correct spelling of a word. For example, “they’re playing over there, in front of their house”. Speak in a clear tone. Easy Dyslexia Aid requires network connectivity (WiFi, 3G, 4G or GPRS). Easy Dyslexia Aid is designed for iOS (iPhone and iPad). Please make sure your microphone is turned on and you have network connectivity or Wi-Fi connected. To turn on microphone close the app and select the device Settings icon (iPhone or iPad). Scroll down and locate and select Dyslexia Aid and turn Microphone and Cellular Data on. Not to worry, to turn on microphone close the app and select the device Settings icon (iPhone or iPad). Scroll down and locate and select Dyslexia Aid and turn Microphone on. We’re using it in a school and currently it is being blocked. Please can you let me know which ports the app uses? Try Easy Dyslexia Aid Today!